Top recommendation- An outstanding tapping resource for all levels. I had read about tapping in the news, I had seen a bit on TV, I’d even experienced a bit of tapping for stress in a health workshop last year but to be quite honest it all seemed a bit hocus pocus and new age to me. How can tapping on bits of your body while saying a statement out loud help you get rid of a phobia? help you with anger? help with pain? or help a child to be more patient? Well I have had to eat my words as I am very grateful to the work colleague who crowbarred this extensive, wonderful book under my nose several months ago. Since reading the book (and know this going to sound a bit over the top but) my thoughts, outlook and behaviour have been overhauled completely. I am calmer, happier and in less pain. I like myself better and my family better. They have noticed big changes in me too. My children help each other tap for minor issues (friends, homework, worries – unbelievable) and shock horror my husband has been tapping too for work related issues. Introducing Emotional Freedom Techniques is packed with material and illustrations that help you understand so clearly about the importance of the quality of our thoughts from an early age and how much our internal beliefs (that we are not usually aware of) drive our thoughts and patterns of behaviour. Incidentally I had read similar things many times before but never properly grasped until reading Christine’s work here. This is all outlined in the first two chapters along with a consise explanation of the background and development of the Emotional Freedom Techniques. Chapter 3 guides you slowly through how to tap (the shortcut and the full basic version) to rebalance the disruption of any negative emotion. 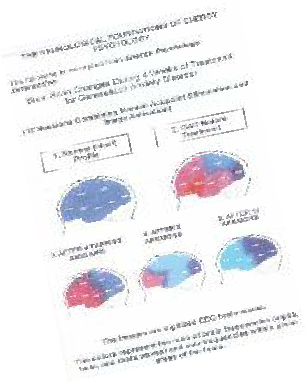 Chapters 4-6 are very useful outlining adaptations to the basics of EFT that make it so powerful and effective. Chapter 7 outlines our current knowledge that we have about some of the processes that occur when we tap. 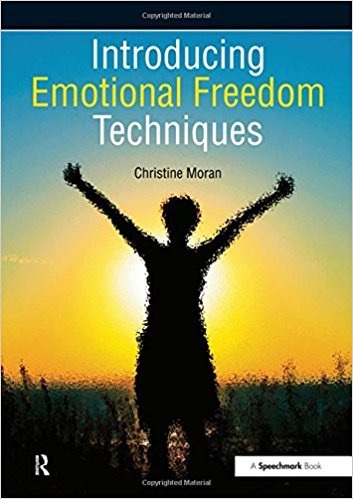 The rest of the book (chapters 8-14) brilliantly focus on using EFT on specific issues (being in the driving seat, anger, fears, phobias, anxieties, habits, cravings, addictions, stress, trauma, abuse, health, healing, performance, and using EFT with young people and in schools. The author Christine writes with skill and passion making the material easy to understand and accessible straight away. There is so much to absorb within the 280 pages but it is written so well directing guidelines for self-help and for professional application at all levels. I have used the book well so far as a self help guide and I revisit it constantly learning more each time I dip back in. I have begun to establish how EFT can be used with my pupils. I know that I will benefit from training and I am excited at the prospect of been able to use these techniques in my work once trained. So I cannot recommend this book highly enough. The simple case studies dotted throughout the book allow you to appreciate how effective, easy to use and universal EFT or ‘tapping’ really is.